Birthplace : Manhattan, New York, U.S. The American biochemist George Wald discovered the role that vitamin A plays in vision and made many contributions to the knowledge of the biochemistry of vision. He won the Nobel Prize in medicine/physiology in 1967 and was a prominent activist in the movement against the Vietnam War and the nuclear arms race. George Wald was born in Manhattan, NY, on November 18, 1906, the son of Ernestine Rosenmann, a Bavarian immigrant, and Isaac Wald, a Polish immigrant tailor. He was raised in Brooklyn, NY, and attended Brooklyn High School. He earned a bachelor of science degree in zoology at New York University. Wald went to Columbia University to do graduate work, receiving a masters degree in 1928 and his Ph.D. in 1932. At Columbia he worked under Selig Hecht, one of the founders of biophysics and an expert in the physiology of vision. Hecht had great influence on Wald. In a memorial written after Hecht's death in 1947, Wald observed that "Hecht had a high sense of the social obligation of science. He thought it imperative that science be explained to the layman in terms that he could understand and could use in coming to his own decisions." Hecht wanted to abolish the military uses of atomic energy, and Wald came to similar beliefs. After completing his Ph.D., Wald was awarded a National Research Council Fellowship in Biology (1932-1934). He worked first in the laboratory of Otto Warburg in Berlin-Dahlem, Germany. There he first identified vitamin A as one of the major components of pigments in the retina and part of the process that turns light into sight. He completed the identification in the laboratory of Paul Karrer at the University of Zurich, Switzerland, the laboratory in which Vitamin A had just been isolated. Wald next worked in the laboratory of Otto Meyerhof at the Kaiser Wilhelm Institute in Heidelberg, Germany. There he discovered retinal (vitamin A aldehyde), a component of the visual cycle, in a batch of frogs imported from Hungary. Wald completed the second year of his fellowship at the University of Chicago (1933-1934). 1956. As his reputation grew, he frequently lectured to packed classrooms and his energetic style aroused students' interest in science. In the late 1930s Wald discovered that the pigment of rhodopsin is the light-sensitive chemical in the rods, the cells in the retina responsible for night vision. He found rhodopsin was derived from opsin, a protein, and retinene, a modified form of Vitamin A. For more than 20 years, Wald's research colleague was Paul K. Brown, who started out as his research assistant, then became a full-fledged collaborator. With Brown, Wald studied cones, the retinal cells responsible for color vision, and found that color blindness is caused by the absence of either of the pigments sensitive to red and yellow-green, two different forms of Vitamin A that exist in the same cone. Wald married Frances Kingsley in 1931 and they had two sons, but they divorced. A former student, Ruth Hubbard, became Wald's second wife in 1958, and they had a son and a daughter. Hubbard joined Brown and Wald and formed a productive research team, "the nucleus of a laboratory that has been extraordinarily fruitful as the world's foremost center of visual-pigment biochemistry," according to John Dowling in Science (October 27, 1967). In 1950 Wald was elected to the National Academy of Science and in 1958 to the American Philosophical Society. He was a fellow of the American Academy of Arts and Sciences in Boston and of the Optical Society of America. As a Guggenheim fellow, he spent a year in 1963-1964 at Cambridge University in England, where he was elected an Overseas fellow of Churchill College. He became an honorary member of the Cambridge Philosophical Society (1969). Wald received many awards, including the Eli Lilly Award from the American Chemical Society (1939), the Lasker Award of the American Public Health Association (1953), the Proctor Medal of the Association for Research in Ophthalmology (1955), the Rumford Medal of the American Academy of Arts and Sciences (1959), the Ives Medal of the Optical Society of America (1966); and, with Hubbard, the Paul Karrer Medal of the University of Zurich (1967). In December 1967 Wald was awarded the Nobel Prize in physiology/medicine, sharing the prize with Haldan Keffer Hartline and Ragnar Granit. Dowling noted: "No one has contributed more to our understanding of the visual pigments and their relation to vision than George Wald." Six days after receiving the Nobel Prize, Wald exploited his new prestige by going before the city council of Cambridge, MA, to support a resolution placing a referendum on the Vietnam War on the city's ballot. A few years earlier, Wald had stunned an audience at New York University by denouncing the war while receiving an honorary degree. He also declared his support for anti-war presidential candidate Eugene McCarthy in 1968.
of a Future." It was part of a teach-in organized by radical students. The speech became famous and "upended his life and pitched him abruptly into the political world," according to an article by Richard Todd in the New York Times Magazine. Rejecting military uses of science and denouncing nuclear weapons, Wald said: "Our business is with life, not death." He called some political leaders "insane" and referred to American "war crimes" in Vietnam. The speech was widely reprinted and distributed. In ensuing years, Wald poured his efforts into what he called "survival politics." He served as president of international tribunals on human rights issues in El Salvador, the Philippines, Afghanistan, Zaire, and Guatemala. In 1984, Wald was one of four Nobel Prize laureates who went to Nicaragua on a "peace ship" sent by the Norwegian government. Wald's activism didn't halt the honors bestowed on him for his work in the field of vision. They included the T. Duckett Jones Memorial Award of the Whitney Foundation (1967), the Bradford Washburn Medal from the Boston Museum of Science (1968), the Max Berg Award (1969), the Joseph Priestley Award (1970), and honorary degrees from several universities. Wald was also a collector of Rembrandt etchings and primitive art, particularly pre-Columbian pottery. Speaking of his interests in science, art and politics, Wald told the New York Times Magazine in 1969: "Nature is my religion, and it's enough for me. I stack it up against any man's. For its awesomeness, and for the sense of the sanctity of man that it provides." 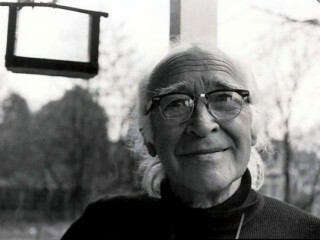 View the full website biography of George Wald.